Carole Kennedy Service Details - Newcastle, Ontario | Newcastle Funeral Home Ltd. Passed peacefully on August 11th, 2018 at Lakeridge Health Oshawa surrounded by her family at the age of 74. Beloved wife and best friend to Lawrence for 53 years. Much loved mother to Reneé (William), Steven (Sue), and Julia (Todd). Adored nana to Justine (Katlyn), Dylan, Evan, Spencer (Katie), C.C. (Jesse), Aidan (Anica), Jake, Taylor and Cullen. Adored two-nana to Kaleb. Amazing aunt to numerous nieces and nephews. Cherished best friend to Judy (George) and family. She will be greatly missed by all of her friends and family. 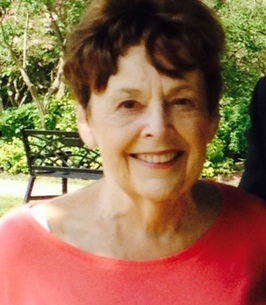 Carole was an avid member of Beta Sigma Phi for 25+ years. The family wishes to extend a heartfelt thank you to the caring staff of the C. Wing - Stroke Rehab unit at Lakeridge Health Oshawa. A Celebration of Life will be held at The Wheelhouse - Wilmot Creek on Wednesday August 29th from 1:00 - 3:00. If so desired donations may be made to Lakeridge Health Oshawa. To send flowers to the family of Carole Anne Kennedy, please visit our Heartfelt Sympathies Store. Additional Information	CELEBRATION OF LIFE FOR CAROLE WILL BE HELD AUGUST 29TH FROM 1:00 - 3:00 AT THE WILMOT CREEK WHEELHOUSE. We encourage you to share any memorable photos or stories about Carole. All tributes placed on and purchased through this memorial website will remain on in perpetuity for future generations. With love to you and your family. Aunt Carole will be missed. Our thoughts and prayers are with you always. Love Paul and Pamela. Sleep well Carole, we miss you. The sisters in Preceptor Alpha Nu chapter of Beta Sigma Phi send out deepest condolences to Carole's family as you navigate the journey through this very difficult and sad time. Our thoughts and prayers are with you. On behalf of all the sisters in Beta Sigma Phi sorority, our deepest sympathies to all of her family and friends. Her dedication and love for sorority will always be remembered.